As you can see, the path to soul contact has many obstacles blocking the way. Even though there are many more yet to cover, do not be discouraged. When you acquire power to remove one obstacle you will be given added strength so that the removal of others will be easier. Good advice, then, is to focus on problems you can solve, and the next steps will be revealed. The soul, wherein lies the consciousness of Christ, resides at the very heart of your being and is pure as the driven snow. Because like attracts like, your heart must also be pure so your heart will merge with the heart of God. If it is not pure, the two hearts will not attract and a barrier is set up which must eventually come down. What does it mean to be pure in heart and what prevents it? A pure heart is one that is not corruptible because it does not corrupt. The impure heart will encounter things that are true and then distort that truth in order to gain an advantage in this illusionary material world. Politicians are famous for distorting truth so they, or their side, can benefit. Many others encounter and succumb to the temptation to distort truth to get ahead in their profession, yet there are a few pure in heart among all categories of people. The seeker must seek to be one of these. The cause of distortion leading to impurity must be examined. Why does one distort the truth? He does so because he is caught in an illusion that the truth will not get him what he desires. Instead, he feels that a distorted version of it will yield the results he wants. A bill comes up in Congress that Congressman Bob does not like. He will definitely vote against it. Then others add an amendment that will benefit the school lunch program. If that stood alone he would vote for it, but he is strongly against the main measure so he feels he must vote against the bill as a whole. He then explains to his constituents why he voted against the bill, saying that when a revised school lunch bill comes up he will probably vote for that. Meanwhile, fellow Congressman Bill from the opposing party smells red meat and immediately attacks Congressman Bob through the media, accusing him of wanting to starve poor children because he did not vote for the bill. There was only a grain of truth in Bill’s words but much distortion. The pure in heart will do his best to present reality as it is perceived and he will attempt to perceive correctly. In essence, he will follow the highest he knows. The assignment today is to reflect on your own purity and answer these questions. Do I accurately perceive the world around me or does my bias distort it? Do I yield to distorting the truth when it gives me an advantage? Think back to the last time you were in trouble with work or in a relationship. Did you distort the truth to save yourself? During the next day pay special attention to all your written or spoken communications and ask yourself, “Am I presenting the truth without distortion to the best of my ability? You’ve said in the past that what one says should be truth but for various good reasons, not necessarily all of the truth. Doesn’t this also cause a distorted version of reality, regardless if it is for good reason or not? In the past I have quoted the scripture which says, ”It is the glory of God to conceal a thing” and stated that it is not a negative thing to restrain from spilling all your guts and give all details when relating facts. One must make sure that what he is relating is true. Is God, then, not pure in heart because He conceals many secrets? What he does reveal is true and the distortion of truth is not caused by him but by the person piecing things together and coming to the wrong conclusions, which actually contradict what has been given out. The distortion talked about is caused by taking known truths and purposefully relating them in such a manner to produce an untruth in the mind of the listener, such as the politician presenting the conclusion that his opponent wants to starve children. Nothing the opponent said indicated he wanted to starve children. The disciple seeks to relate the facts as accurately as possible and deal with them instead of adjusting them to fit his desires. Yesterday we talked about the importance of honest communication as a quality possessed by those who are pure in heart. The second aspect necessary is motive. What motivates you to do what you do? It may run contrary to many popular notions if I say that all life from the least to the greatest is motivated by self interest. Many will equate this with selfishness and disagree, perhaps pointing out that Jesus was far from selfish. What must be realized is that selfishness and self-interest are two different things. For instance, we are told that Jesus going to the cross was motivated by self-interest. So we are told here that Jesus endured the cross, not just for us, but “for the joy that was set before him.” In other words, as difficult as his mission was, the end result turned out to be a benefit for him and this was part of his motivation. Does this mean he was selfish? Not at all – at least not by the way the world defines selfishness. So what is the difference between self-interest as pursued by Jesus and selfishness? Consider this: All have self interest, but all are not selfish. Selfishness involves placing the interests of self, from a materialistic short-range point of view, above that of others. Some are so selfish that they will hurt others when it seems to advance their agenda. The key to understanding true self interest is this: He who is motivated by selfishness is deceived, for selfishness does not result in advancing the betterment of self, or true self interest. The deceived selfish person only looks at the near future and material values in making his decision. The wise person who looks after the real interest of the whole self looks to the far future and considers spiritual as well as material values. He realizes that he cannot obtain real advancement for self without helping others, neither can he experience lasting joy by himself alone. True self interest will move not only self, but many others along the spiritual path. When the true beneficial interests of self are seen, and the person acts on them, he will be seen as one who is not selfish at all, but dedicated to the service of others. He will be seen as being pure in heart for he can see without distortion the path of advancement. The pure in heart then will have pure motive, not focused on the temporary needs of the ego, but on the good of the whole. He will not seek to glorify the lower self, but let his words and works speak for themselves. The assignment today is to examine your motives for your important decisions of life. Ask yourself what your motive was in selecting your mate, deciding to have children, your choice of career, your choice of friends, the things you have purchased, the skills you have acquired, your labor of love and more. This statement has many profound implications that we shall merely touch upon. The life of the ego, or lower self, includes the body, the lower emotions and brain thinking. This life is temporary and represents a projected dream of the soul. It is impossible to save that which is temporary. Thus, no matter how much you try to save it, you will still lose it. Imagine being asleep and dreaming of being a pirate. You have amassed great treasure which you want to preserve. You feel yourself beginning to wake up, but you wish to save this life so you will yourself to sleep some more. Does your awake self really want to continue the dream forever and have you ever remain in a state of lesser consciousness defending a treasure that does not even exist in reality? If you were able to save that life, you could not awaken and would lose real life. But if you recognize that dream for what it is you can let it go and awaken to a greater life and consciousness. After death we eventually reunite with the soul, our higher self, and it is as if we have awakened from a dream. The great secret is that we do not have to wait until death to unite with the soul. We can do it in this life and become awake even though we are still technically asleep. Have you ever had a dream that you knew was a dream and the real you participated in it? This will happen on a higher level when solid soul contact is made. You will then realize that what you are in this physical world is only a small portion, or shadow of your true self, and by uniting with your higher self you can begin to separate the real from the unreal. If you seek to save this life and all that the ego holds dear you will lose the higher true life, for you will retain the misplaced emphasis on value. On the other hand, if you are willing to let go of all that the world esteems as having great value and see that the only real true thing of worth is life eternal then you will acquire a oneness with this life in the here and now. You will save your true life and will not have to wait for any death of the body or resurrection. The greater life is the only one worth saving. In reality the greater life is never lost, but we are detached from it as the dreamer is detached from awareness of his true being. It is only a matter of time before we wake up. The decision is whether to seek the greater life now or remain trapped in the dream as a prisoner of the lower self for an indefinite time. Your assignment today is to merely reflect on the idea that you are the dream of the soul and that there is a greater part of you with greater awareness outside of this state of illusion. Look within your mind and sense that this higher self is there willing to be contacted and assist you in waking up. You must first believe in its existence before contact can be made. Throughout the day reflect on what it would be like to commune with your soul and attempt to feel its presence. Even the greatest tyrants claim to love and fall in love. Herod fell so in love with the daughter of Herodias that he was willing to give her half his kingdom. Instead, she asked for the head of John the Baptist, to which he obliged. This romantic love of which all taste, draws people into relationship and is shared by the good and the bad among us, Surely love is not defined by this feeling alone. Even though the two loves are very different they are effects of the same principle which is this. Love is that which draws two or more to unity, or oneness. Herod was attracted to the daughter of Herodias and wanted to unite with her. On the other hand, the disciples fell in love with Jesus and wanted to unite with him. With carnal love the person is drawn toward others because of what they can do for him. He who partakes of spiritual love is drawn toward others because of what he can do for them, which in turn elevates his own progress and brings him closer to the Christ consciousness. The seeker desiring soul contact must learn to differentiate between the two loves and be able to discern the difference in the energy radiated by the two. The inner spirit, wherein resides the soul, knows only true spiritual love, sometimes called “the pure love of Christ”. One who is polarized in the lower love will find himself repelled by the higher, and thus has a barrier between him and his soul that must come down if access is to be attained. We humans are influenced by the power the lower love in many ways. We love our favorite foods, favorite sports teams, favorite musicians, favorite family members, favorite actors, favorite authors etc. The closest that one who is focused in this lower love comes to the higher is when he falls deeply in love with another person. This falling in love causes him or her to see beyond any flaws of the other person and, for a time, will get a glimpse of perfection or the Christ in the other person. When this happens, those affected will receive all that lower love has to offer with a pinch of the higher sensed. Unfortunately, this falling in love euphoria only lasts for a short while as flaws in the other person become revealed and cause the focus to remain on the outer person rather than the inner. The assignment today is to think back to the instant in your life where you fell in love at the deepest point. If you have never fell in love romantically think of a time you felt the greatest amount of love. If you have had the falling-in-love experience you have received a taste of the love of the soul or inner Christ. The big difference is that the Inner Christ will not disappoint you by revealing many flaws that diminish the love. The soul resides in perfect love that never fails. As you contemplate your greatest love that was felt, try to differentiate in your mind the difference between the lower love and the higher. Do you think you can consistently recognize which is which? Think on this and we will continue on this subject. The seeker must learn to differentiate between the lower and higher vibrations of love. There is love which is polarized in the emotional self, and love that originates from soul levels. The falling in love feeling is the closest one can get to the soul love without firm soul contact. 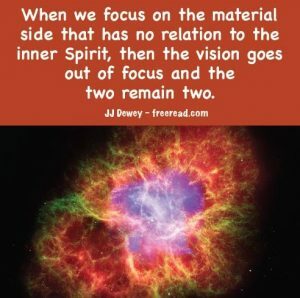 It is very close because it does draw forth some soul energy, yet because the soul energy is mixed with personality energy it is not as pure in most cases. The love of the soul directly accessed is very consistent and pure and the vibration is the same each time it is felt. The only difference may be that on one occasion the intensity may vary from another occasion. On the other hand, when one falls in love over time with two different people there will be much about the two incidents that seem the same, but if one reflects he will realize that the vibration was a little different on both occasions. In both cases the falling-in-love feeling was great, but the feeling was generated by seeing the inner perfection in the other, bringing in soul energy and mixed with personality energy. Thus the two personalities on the two occasions create a slightly different feeling, even though the depth of the love is similar. Because this falling in love feeling is so close to soul contact many people who are spiritually inclined feel that God has revealed to them they are supposed to be with a certain person. The problem is that this feeling can happen with anyone that you open up to and can be quite deceptive. Many people misread the romantic love feeling as direction from God to plunge into a relationship that turns into a disaster. What complicates this subject even more is there are times that individuals will receive direct communication through the soul confirming that they are supposed to be in relationship with a certain individual. However, the falling-in-love feeling that is mistaken for soul revelation happens much more often. We’ve all seen cases where some innocent female falls for some charismatic bad boy, and is enamored with him and thinks that love will conquer all because it just feels right. Then most of us have seen that the end result is just as all anticipated, except for the couple in love. They couldn’t see it because the feeling was so close to soul confirmation. This brings us to why this is important information. If the seeker happens to fall in love with the wrong person, yet can realize that it is the wrong person in the midst of feeling the euphoria of romantic love and reject that relationship, he has proven he is a candidate for strong soul contact. Because he was able to see that romantic love was not confirmation from the soul or God. To find a truth the seeker must know what he is looking for. He will not be able to recognize the sure vibration of the soul if the feeling of romantic love can deceive him into thinking he is receiving confirmation from God. The euphoria of romantic love has deceived many seekers, even advanced ones who have received some soul contact. The importance of learning to differentiae cannot be overly stressed. What is not realized is that you can fall in love with any person if the barriers are let down allowing you to see the perfection within. That is why the innocent girl falls in love with the bad boy. She overlooks his flaws and just sees the inner spark from God, and this opens the door for the release of the energy of romantic love. Romantic love has its place, for it is the glue that holds a marriage relationship together, but the pure love of Christ through the soul has a higher place and this is the goal of the seeker of wisdom. The assignment today is to try to sense a love that is higher and more reliable than romantic love. Contemplate the difference between the falling in love with a personality and feeling the love of the soul. Even if you do not have consistent soul contact the chances are that you have felt the love of the soul on a number of occasions. It could have been ignited in you by a speaker, a phrase in a book or song, the words of a friend or even a scene in a movie where the hero performs a great deed. When this love is accessed you will feel like weeping no matter how macho you are. The love of the soul is so beautiful because our Higher Self sees us as we are in the far future, where we will become perfect and can live in complete harmony with other beings. Continue to contemplate on feeling this love. Almost everyone believes that the injunction to love your neighbor is a good idea. Indeed, if we expect to receive the joyous feelings of divine love we also need to give them out. What you do not want to do is approach others out of the blue with a big grin on your face proclaiming your love to them. Wrong tactics are likely to be seen as creepy or invasive rather than loving. Many attempt to show love in the form of gifts. This is helpful if the gifts are needed. Some gifts are much more appreciated than others. Just the other day I read about a very loving gift. A local businessman was going out to his car when he noticed that a tow truck was about to tow away a lady’s car. He was curious and moved closer, hearing the woman say she was homeless and the car was all she had. The guy then asked the tow driver what it would take to release the car back to the woman, He told him that she had a bunch of parking tickets and it would take $475 to clear the tab. The businessman paid the bill right on the spot and the woman was able to keep her car. A reporter got wind of this and interviewed the woman. Her gratefulness was beyond measure as she didn’t know if she could survive without her car; it was all she had. The guy who helped her owned several businesses and some perhaps saw him as a greedy capitalist, but this woman saw him as a loving savior who asked nothing in return. Some gifts are just gifts, but others like this one stimulates the love of the soul. One should seek to give these type of gifts, valued at many times the cost for just a few dollars. While most of us are limited in the amount of physical gifts we can give, we all have an equal amount of time. All have 24 hours in each day. The seeker desiring soul contact should dedicate some of his time to service. He can start with those with whom he is living. If married, do your part in the relationship. Then do something extra each day to make your partner’s life more pleasant. The same goes for other family members. If those who live with you are happy in your presence then your inner self will send its approval. Now reflect on extending your service beyond your family. If you go to work each day do what you can to make someone’s burden a little lighter. Think of all your friends and see if they have any needs that you can fulfill. Many spend time on social media and there you can spend time lifting spirits in others or sharing your words in a way that will be appreciated. There are many lost opportunities for service missed by the average person. Sometimes just a kind word is just what is needed. The problem is that he doesn’t keep an eye out for the opportunities. On the other hand, the person seeking true inner contact will naturally keep an eye out for opportunities to be of service in a way that will be truly helpful. The assignment today is to go the extra mile in looking for opportunities to serve and help others in ways that will be appreciated. You can start with the next person you meet. Size this person up and ask yourself, before this person leaves my presence, what can I do to make life easier for him or her? There are times to speak up and times to remain silent. It is generally an act of wisdom to choose silence rather than enter into conflict or give criticism. We discussed criticism earlier and noted how difficult it is to get a positive result from it. Yet there is indeed wisdom in the words of Solomon that there is a time and place for everything. It requires good judgment to discern when to speak up and when to remain silent. When the person feels attacked the tendency is to speak up each time, but often this accomplishes more harm than good. The best guide in speaking up at difficult times is to follow the inner guidance of the soul. The problem is that when the soul urges the seeker to speak up it is often difficult to do and requires courage. When the lower self urges one to speak, the person follows the line of least resistance and usually no courage is required at all. Feeling a natural impulse to speak up is often a sign that you should not; whereas, if you are in a situation that requires courage to speak it can be a sign that you should consider doing so. Before one speaks critical words he should first project where the conversation will go after he generates a response and then use his common sense and best judgment as to whether to move forward with it. If he is sensitive to the Inner Voice and it approves then he should definitely speak, but even here he needs to carefully choose his words. Presently this quote is used to justify a lot of hateful political attacks. What is overlooked is that good men do not attack and criticize at the drop of a hat. For every ten times the quote is used for justification of critical attack, maybe one is useful. The question for the seeker of inner wisdom is when is speaking up justified? One of the most important times to speak up is when another person, beside yourself, is attacked without justification and is not there to defend himself. We all have flaws and attackers always feel self-righteous about their critical remarks, but many who are attacked are doing the best they can and need support more than tearing down. If one is in a group of say six people all tearing down a certain individual it may require considerable courage for you to speak up and call them on their behavior. If you are defending the innocent, or even partially innocent, but speak up with courage, you will receive affirmation from your soul that you did the right thing. On the other hand, if someone merely says something you personally find offensive and attack back, your soul will pretty much ignore you and you will be on your own. Another time to speak up is when others are pronouncing something you know to be true as false. The Higher Self always supports the defense of truth, but if you want its support you must make sure you are on correct footing, for many think the false is true and the truth is false. Only if you are on the side of truth will your Higher Self be with you. If the seeker defends the truth with the approval of the soul his impact will be powerful. Some will immediately realize they were in error and feel somewhat ashamed of themselves. Others will merely consider they may be in error and consider your words. Those who choose to defend their error will feel anger at you and this is where courage comes in on your part. Defending the truth produces anger in those who refuse to see the light in what you are revealing. The assignment today is to first reflect on times in your life when you correctly spoke up and other times when you remained silent when you should have spoken. What would you do differently if you had a chance to relive those experiences? For the second part of the assignment keep an eye open for truth that needs your witness and check yourself if you feel motivated by the lower personality to attack. When you reach a point of decision in the path of life there are always two or more choices. Usually it is just two. There will always be one that will seem the easier choice and another that will seem more difficult, either because of risk or some difficulty involved. Those who do not check with the soul will generally pick the path of least resistance. This is why average people are very predicable. You can depend on them picking the easier path. The right decision is never black and white and always requires good judgment. The road less traveled by or the path of high resistance is often the better choice, but not always. Sometimes the path of least resistance, the easy way, is truly the best choice. The difference between the one who is willing to follow inner guidance and the one who is not is that the first is willing to take the more difficult path if he feels impressed by the soul to do so. The one focused in the outer world will often, without much thought, chose the path of least resistance. In fact, the choice is so automatic it can hardly be classified as a choice. Your Higher Self has much knowledge and guidance it is willing to share with you, but if it is going to participate in your consciousness it expects one important thing in return. That is, it expects you to follow its guidance, even if it takes you on the path less traveled. If you do receive through your soul and then ignore what you receive, the Higher Self will figure you are not ready for cooperation, and withdraw and wait until you have taken a few more steps of spiritual advancement. Taking the more difficult road can involve a small decision such as mentioned in our last lesson, where the person stands up for the truth at a small gathering, or it could involve great risk of life or freedom. The disciple must be willing to listen to the voice of the soul and follow it if he wants an increase in sensitivity. Of course, it is important to recognize the true voice, for it will never lead you in a harmful direction. Many receive false guidance because of impressions from lower desire. This is why recognition of the true voice of the soul is so important. We will speak more of this later. Your assignment today is to review your three most important decisions you have made in this life. Ask yourself, did you pick the line of least resistance or did you take the path less traveled? Now reflect on the important decisions you will make during the coming year. Are you considering both directions with an open mind? Do you see a path less traveled that may be rewarding? Will you be checking with your inner self for guidance? Today, Aug 21, 2017, is the day of the first solar eclipse to pass through the continental United States in almost 100 years. I am fortunate to live near the area of total blackout. Here in Boise it will be over 99%, but a few miles north the eclipse will be 100%. On this day almost everyone is distracted away from their normal labors. Businesses are giving time off, the starting of school is being delayed and many people are just taking the day off. Our soul, or our Higher Self, is our inner sun which gets its life-giving power directly from God. The moon is a symbol of the emotional self and when distracted it indeed does eclipse the inner sun so the seeker cannot bask directly in its light. Just as the eclipse and other events come along and distract us from our essential duties, even so, we get distracted from our inner light so it seems no more accessible than is the sun during an eclipse. To attain consistent and full soul contact the seeker must keep his mind steady in the light and not allow emotions, misguided thoughts or outer events to move his attention away from the inner light. As soon as your focus is taken away from the light, the emotional self begins to eclipse the inner sun. They say freedom demands eternal vigilance. We can extend that thought to the idea that freedom to access the soul also requires the same. Many seek inner contact through meditation, which is commendable, but you cannot meditate in a quiet place all the day long. No matter what your protocol you will find yourself living with the noise and distractions of daily living. The seeker must learn to keep his focus on the inner light no matter what is happening on the outside. If someone picks a fight you keep your focus. If you have an accident, you keep your focus. If you fall in love, you keep your focus. No matter what is going on outside yourself, you must not let go of the inner peace within yourself. Sometimes this will require an act of will. Maybe someone strongly intrudes on your space and you find yourself placing undue attention on this person. In this case you must check yourself to make sure your connection with the soul is intact. Then, from this secure state, you can deal with this person as effectively as possible. Keeping centered on the inner light is easier said than done, but it can be accomplished by all once the decision is made to achieve this. The greatest hurdle is in making that decision because most do not even realize that such a decision is necessary. If a decision is not in the consciousness then the decision cannot be made and one cannot enjoy the benefits thereof. First, ask yourself if you have made a commitment to hold your mind steady on the inner light from God. If not, you should set a goal to do so now for consistent soul contact cannot be established unless you give it sufficient attention. Now, through this coming day you are going to have distractions. Some of them may seem to need your total attention. Pay attention to these times and mentally stop, if even for a second to ask yourself if your attention is keeping its link to the kingdom of God within. If your day is average you should have three or four occasions to practice this. The emotional self is a source of many deceptions. If you were to see your emotional self as a tricky devil whose purpose is to deceive you at every step and then take joy each time you fall for the trick, you would not be that far off. The emotional self plays out in your life as if this were the case. To solve the problem you have to recognize the tricky devil and tell him that you are no longer going to fall for his deception. This will not make him stop trying, but it will enable you, with practice, to see through his illusion. The problem with this tricky devil is that most people do not even realize he exists. Therefore, when he plays one of his tricks you do not see it coming from him, but yourself, and why would you deceive yourself? You certainly would not do so on purpose. This devil revels in the fact that you depend on him as much as you do, as well as hold him in the highest esteem. He loves this endearing placement, but has great fear that he will be replaced by something much more desirable and real. He knows that when you discover the richness of the soul he will lose his lordship over you, never again to regain the great authority he now has. To prevent this loss from happening he does everything possible to keep you centered on the lower emotions rather than the higher feelings of divine love. His biggest deception is around the feelings of love itself. He places a veil between you and your soul, so instead of feeling love divine, you feel the distorted substitute he offers you. Whereas divine love is based on union that knows no fear his love is based on possession with a powerful fear base. His emotional love is there for you as long as you possess the other person, but there is always a fear of losing that possession and that possibility of loss is the source of fear. He uses this fear to control you. All forms in this world are temporary including the bodies of the ones you love. In this world this tricky devil controls your love and other lower feelings by threatening you with loss of these temporary forms. On the other hand, the feelings of the soul do not depend on the possession of form for in the kingdom of heaven each soul is eternally connected to other souls and there is no threat of loss, thus there is no fear. Souls are motivated toward union, but the lower emotional nature is motivated to possess temporary forms. This tricky devil of the emotional self convinces the seeker that he has all the love that you are ever going to receive. If this is the highest you have felt in this life you will believe it, and many times suffer the fear of loss, thus yielding yourself to his control. To escape control and access the soul you must see beyond possessive love to union that knows no separation. Perhaps you have never asked yourself the question, “Is the highest love I have experienced all there is, or is there more?” If you haven’t asked this question, then do it now. The tricky devil has the world convinced that this cannot be, for your happiness is determined by what he has to give you and nothing more is available. The assignment today is to contemplate how high on the ladder of feeling you have attained. Have you freed yourself from the tricky devil of the lower emotional nature, which rules by fear of loss? If not, what is your next step?